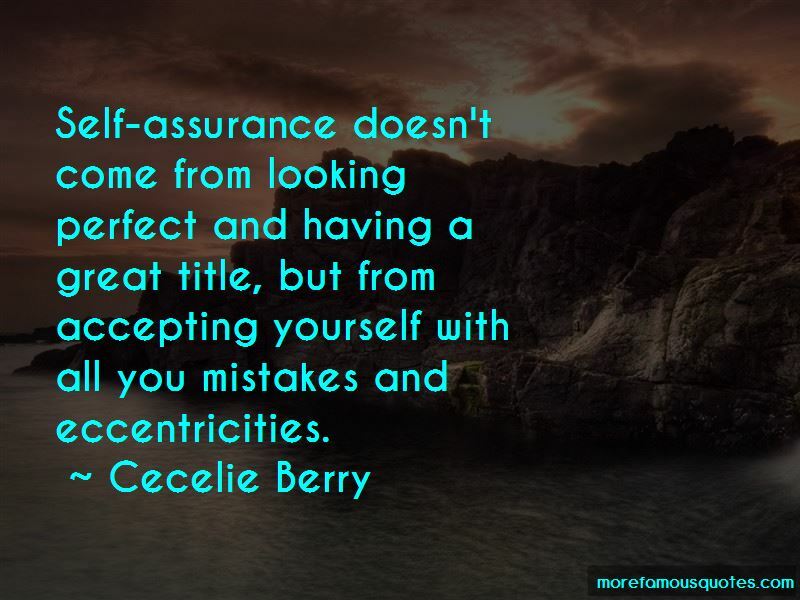 Enjoy the top 2 famous quotes, sayings and quotations by Cecelie Berry. Self-assurance doesn't come from looking perfect and having a great title, but from accepting yourself with all you mistakes and eccentricities. Want to see more pictures of Cecelie Berry quotes? 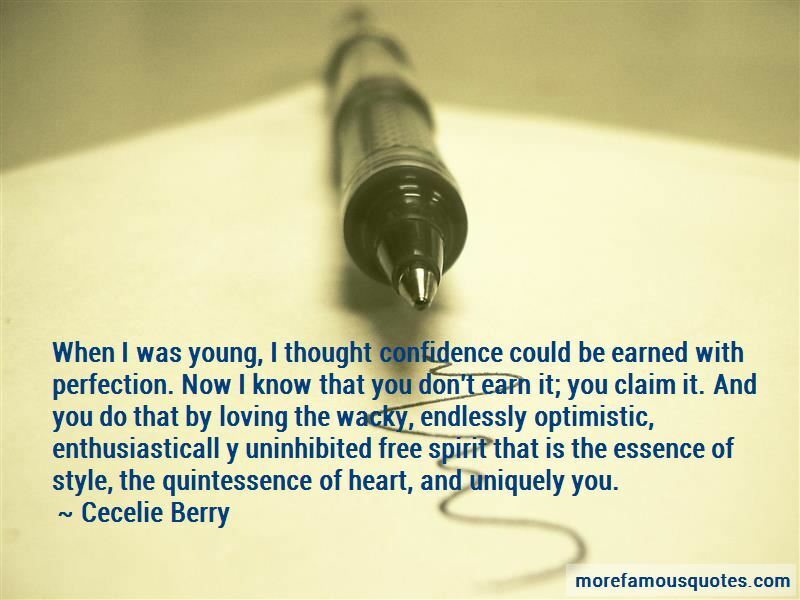 Click on image of Cecelie Berry quotes to view full size.